After the domain names of anime torrent site NYAA were deactivated, some scammers picked up the domain to tempt users into downloading. A few weeks ago, NYAA's owner decided to voluntarily shut down the site, without giving any explanations. 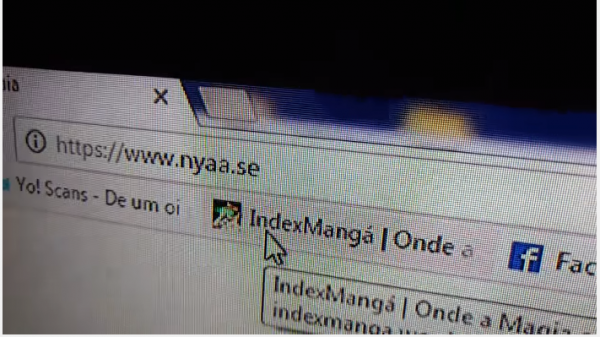 As former users started to move on to other sites, some noticed that the NYAA.eu domain was up again, although with a twist. "Due to the regulation & security issues with Bittorrent, the Nyaa Team has decided to move from torrent to a faster & secure part of the internet!" the message read. Furthermore, the site said it went underground and encouraged its users to download the new free "binary client." It also warned its users against alleged "fake" NYAA sites. "We wish we could keep up the torrent tracker, but it is too risky for our torrent crew as well as for our fans. Nyaa.se has been shut down as well. All other sites claiming to be the new Nyaa are Fake!" However, according to TorrentFreak, the site itself is "fake." The report revealed that scammers were able to pick up the deactivated domain names after it was restored by the .EU registry. And these outsiders are now trying to monetize using the download offer. The client download link on the site allegedly points to a Goo.gl shorturl, which is also redirected to an affiliate link for a Usenet service. The people who signed up the domain aims that users register, granting that it is connected to the previous moderators of the NYAA. Of note, the NYAA.eu is registered to a German firm called Goodlabs, which specializes in domain name monetization. So far, at least 27,000 people have clicked the link, generating significant traffic. Most of the users are from Japan, the United States, and France. However, such scam is not new. Other file-sharing related domains include Demonoid.to, Isohunts.to, All4nothing.net, Torrenthounds.com, to name a few.